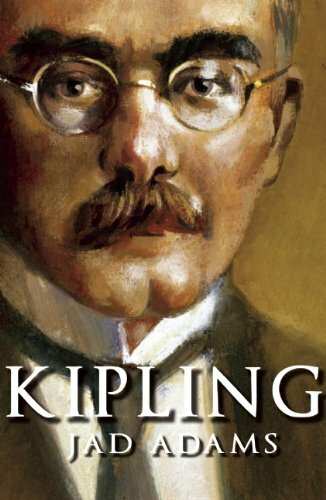 Joseph Rudyard Kipling was the greatest writer in a Britain that ruled the largest empire the world has known, yet he was always a controversial figure, as deeply hated as he was loved. This accessible biography gives an understanding of the man behind the public image and explains his enduring popularity. Kipling was one of the finest writers for children, yet his own childhood was scarred by abuse and two of his children died tragically. He was a compulsively secretive individual: family quarrels and the mental illness of his sister and wife cursed his middle years; and in old age simplistic political views, crudely expressed, diminished his standing. This biography sheds light on the confused sexuality of a writer who adored men and was attracted to older or masculine women, and places him in context not just as an imperialist but as a sensitive artist of his time. Jad Adams is an author and television producer, who has a reputation for writing challenging biographies of political and artistic subjects, including Pankhurst (Haus Publishing, 2003).